CLARCOR joined Parker Hannifin’s Filtration Group on March 1, 2017, and, together, we begin an exciting journey to build the next-generation filtration company – for you. We believe you will realize significant advantages from our highly complementary combination. It establishes Parker Hannifin among the industry’s top global filtration companies and the supplier of the most comprehensive offering of filtration solutions and services. Optimize performance and profitability of your plant, manufacturing operation, or product through our expertise. 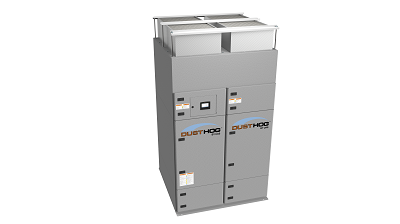 We are committed to clean air solutions that protect employees, improve plant performance and enable you to realize your operating goals by delivering systems that remove mist, smoke, and fumes from industrial processes as well as superior filters. We bring you a most comprehensive selection of products and systems in the market. Our experts have in-depth knowledge, and we provide answers, training, and a quick response, beyond delivery. Dust. Mist. Fumes. No matter the application.